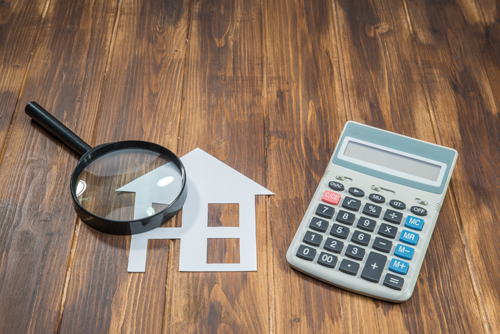 On October 17th, Canada’s banking regulator, the Office of Superintendent of Financial Institutions (OSFI) introduced three new mortgage rules that are taking effect come January 1, 2018. The changes won’t cost you more, but they could change how much mortgage you qualify for. Are you ready to make the most out of the rules before and after the changes? OSFI is setting a new minimum qualifying rate or “stress test” for uninsured mortgages, where home buyers will need to qualify for a mortgage at a rate that is greater than either: 2% higher than the mortgage rate they qualified for, or the Bank of Canada’s five-year bench-mark rate. Before the new rule comes into play, only buyers that have a down payment of less than 20% have to pass a stress test, but after January 1, 2018, the stress test will apply to all uninsured mortgages, no matter how much you put down on a down payment. Mortgage lenders are also required to ensure that the loan-to-value ratio used in evaluating a mortgage “remain dynamic”, adjust for local market conditions, and prohibit co-lending arrangements. Traditionally if you apply for a mortgage with a LTV of 80% and the lender can only approve you for 60%, they could partner with another lender for 20%. But not anymore. These new rules will apply to refinancing and new mortgages, but not to mortgage renewals if they are with the borrower’s existing lender. Uninsured mortgages account for about 80% of new mortgage lending in Toronto and Vancouver, which means these new rules are going to have a big impact. Housing demand is estimated to decrease by 10%, so if you’re looking to buy or sell your home, you should do so before the new rules take effect. With the new 2018 mortgage rules, affordability will be decreasing by 20% meaning Canadians will be able to afford 20% less house. To give you an idea of what the changes will look like, consider these examples. If you have a household income of $60,000, your purchasing power today is $409,626, but on January 1, 2018, your purchasing power will be $334, 323. If your household income is $100,000, your purchasing power today is $682,710, and your purchasing power starting January 1 will be $557, 206. And if you have a household income of $150,000, your purchasing power will go from $1,024,065 to $835, 809. If you’re looking to buy or sell, the holiday season is bound to be a busy one. Get it done before January 1 rolls around! Previous Post Design Trends for 2018: What’s Hot! Next Post How Do Oil Prices Affect Your Mortgage?